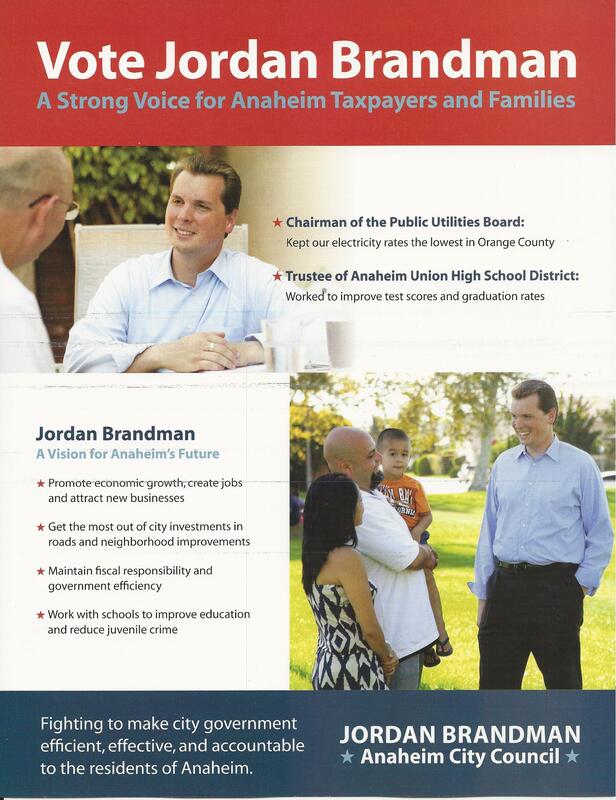 Anaheim Mailbox: Calm Before The Storm? 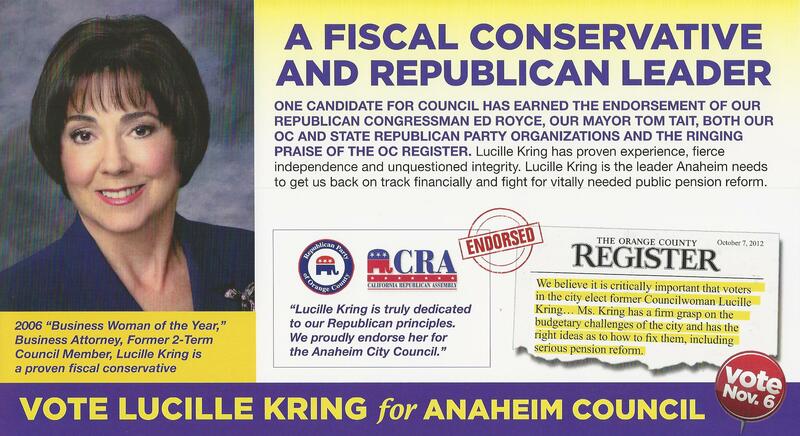 A relatively slow mail day in the Anaheim City Council race with only 3 pieces arriving at my house. Kring, Chuchua, and Brandman all sent out a piece of mail and my fear is that I will be crushed when I try to open my mailbox on Monday. 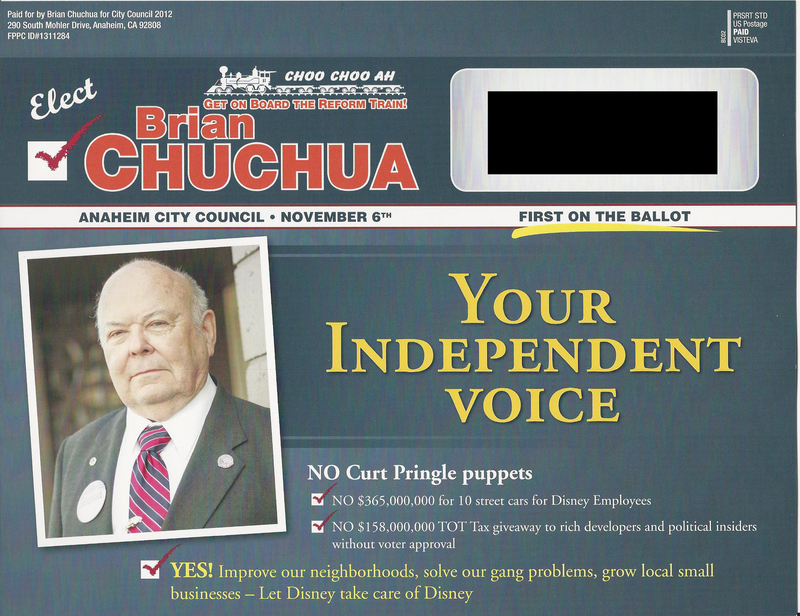 This entry was posted on November 4, 2012 at 1:40 PM	and is filed under Anaheim, Mail. Tagged: Brian Chuchua, Jordan Brandman, Lucille Kring. You can follow any responses to this entry through the RSS 2.0 feed. You can leave a response, or trackback from your own site. Could be. 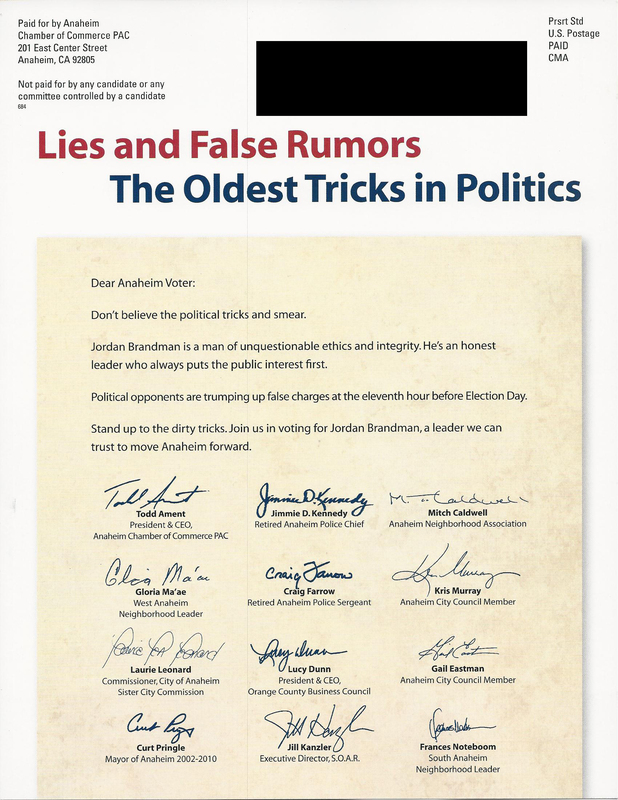 More likely, you’ve seen the last of it as mailers had to be out by Wednesday to guarantee delivery by election day. I am really sad. 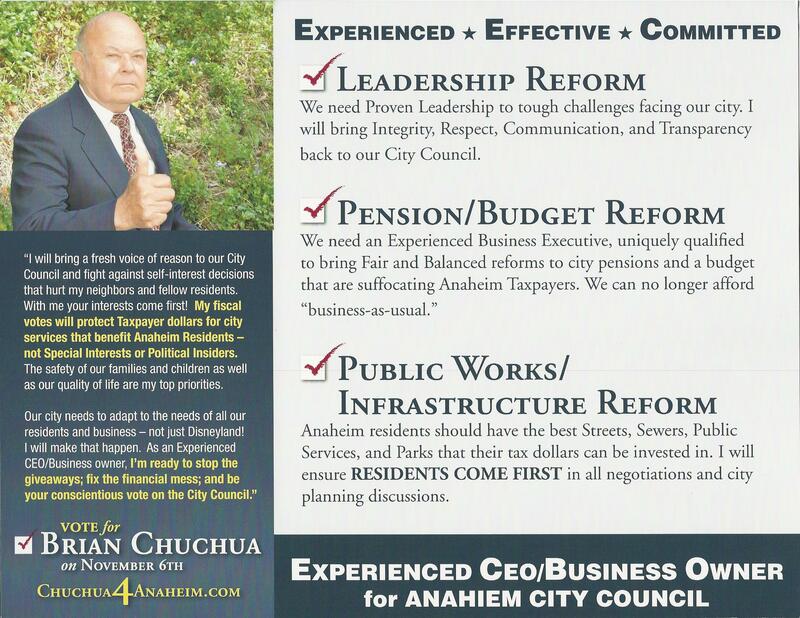 We have been trying to talk Brian Chuchua into actually campaigning for years, he finally does a mail piece (that would better have benefited him a week ago) and his graphics guy misspells Anaheim. I have seen the caliber of mail pieces drop so dramatically, I swear next cycle I am going into the mail business. It seems anyone can do it. Good catch. I didn’t notice the mistake until you mentioned it. At best Chuchua will probably come in 5th at best. Also, the idea on the reform train may not be the best in Anaheim with some people possibly feeling that this somehow is code for high-speed rail. 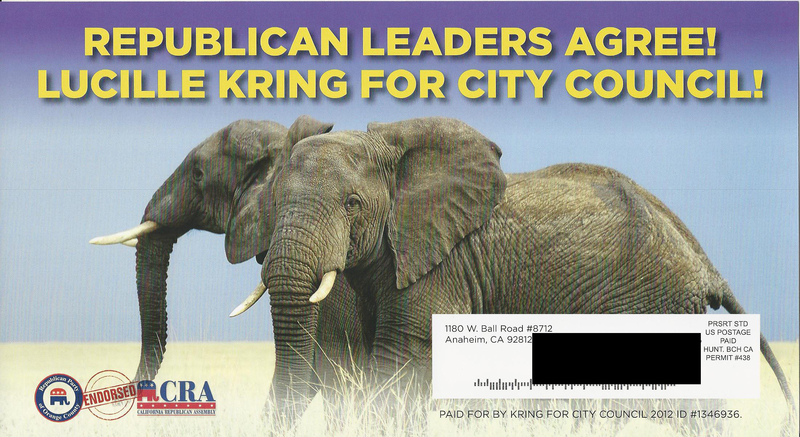 Gee Chris, are you hinting that the people of Anaheim might not care for the High Speed Rail project?